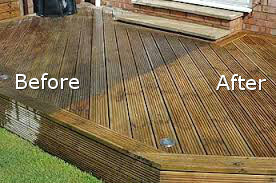 AfterTheBuilders Ltd. is among the top providers of patio cleaning services in Palmers Green, N13. Give us a call today to get a free non-obligatory quote! The patio cleaning our company offers can make your outdoor area well sanitized and cleaned, looking like new. 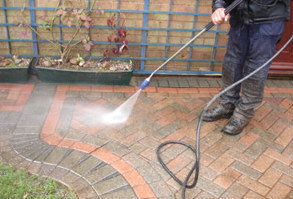 If you use our jet washing technicians to remove every mould, moss, algae, lichen, stain and hard deposits over your patio stonework, paving slab, bricks, concrete, tiles or block paving, the results will amaze you. You will have your home looking fantastic form the outside if your hire our staff to do your patio cleaning. Call us or book your cleaning online to reserve your patio cleaning in a time of your choice. We are available in Palmers Green, N13 seven days a week. All of you who have a yard in your homes should try the amazing patio cleaning services of this company. I booked them several months ago and the effect from them was just stunning. I am very satisfied with your patio cleaning service. Your cleaners are professional and it was pleasure for me to watch my patio becoming cleaner than ever. Thank you for the help. 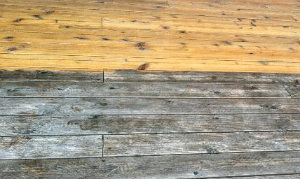 Q: Is your service suitable for cleaning wooden patios? A: Yes, our pressure washing service is suitable for cleaning all hard surfaces. Q: There is moss between the blocks on my patio, can you remove that? A: Yes, all the moss between the blocks and cracks will be removed. Q: Can you restore the original colour of my stone patio? A: Yes, after the cleaning the original colour of the stone will be restored. A: Your presence is not necessary, all we need is access to the premises. We want to invite you in our second to none company that will take up with the patio cleaning in your property in a fast and save way. Our company has a lot of experience in providing such types of cleaning services and is currently located in Palmers Green, N13. If you are too busy to take up with the cleaning duties on your own do not feel disturbed but contact us right now. We can come equipped with all the materials, both during the week and at the weekends so you can plan other important activities as well. If you are a resident of Palmers Green, N13 looking to find a patio cleaning provider, get in touch with us. Here you will find more details about our company. We have a vast experience in this type of service. For many years we have been leaders in patio cleaning. We have several teams of friendly and educated technicians who are prepared with the right tools and materials to get your patio in good order. If you want us to come and clean your patios, don’t forget to e-mail us or call us on the phone. We will do out utmost to arrange a service as soon as possible.